Weighted Blanket For Anxiety – Can It Help Relief The Symptoms? Sleep is an important part of life, just like food, water, and shelter. Sleep plays a pivotal role in your physical and mental health. Sleep deprivation can lead to many health conditions that can affect one’s life. At night, the body rejuvenates while you’re sleeping. The brain will also process all the information you gathered throughout the day. It’s like the time for your body to regain the energy lost in the activities the previous day. Without proper sleep, you can experience poor concentration, daytime sleepiness, and lack of focus. There are many causes of sleep problems. One of the most common is anxiety disorder. Normally, people experience anxiety, which is a normal reaction to stress. In fact, it can benefit the brain and body in some instances because the feeling alerts you to pay attention. But, anxiety disorder is the feeling of excessive anxiety or fear, even without an apparent cause. Anxiety disorders are the most common mental disorders in the United States. According to the Anxiety and Depression Association of America, anxiety disorders affect 40 million adults in the country each year. The exact cause of an anxiety disorder is unclear but experts believe that risk factors such as genetics, brain chemistry, life events, and personality play a role in its development. The good thing is, anxiety disorder is treatable. One of the therapeutic treatments used today are weighted blankets. Read on to know how these blankets help people with anxiety. What Exactly Is A Weighted Blanket For Anxiety? Weighted blankets have risen into fame over the past years, thanks to their ability to improve sleep, relieve stress and reduce anxiety. 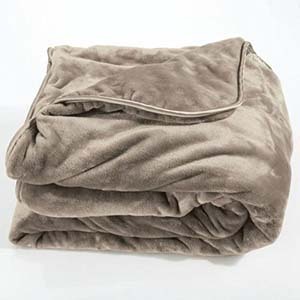 Weighted blankets provide pressure and sensory input for people suffering from various disorders, including autism, anxiety disorders, stress disorders, panic attack, insomnia, and ADHD, among others. The blanket is made with evenly distributed weight, which varies depending on the user’s body weight. The blankets are recommended for individuals who have problems falling asleep and staying asleep. They improve sleep quality and duration, promoting a healthier body and mind. Weighted blankets help improve the symptoms of anxiety and help people with anxiety sleep better. Weighted blankets provide deep touch pressure, which is thought to help calm the nervous system of those with anxiety and other disorders. Deep touch pressure is the even distribution of weight and pressure throughout the body. 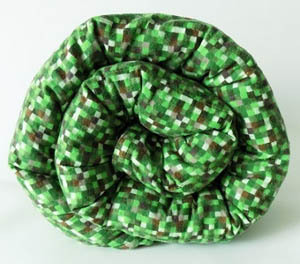 It mimics the feeling of being hugged, cradled, swaddled, grounded, or cuddled. When this happens, the brain produces and releases increased levels of serotonin, an important chemical messenger in the brain that can promote relaxation and a calm state of mind and body. Serotonin also aids in mood regulation that gives a calming effect. Weighted anxiety blankets do their work by grounding or pressing your body down. Also referred to as earthing, the process can help reduce the levels of cortisol in the body at night. Cortisol is a stress hormone that is produced when the body is under stress or on the “fight or flight” mode. This means that at night when your cortisol levels are high, you may experience anxiety, hyperactivity, and alertness. As a result, you will be trapped in an insomnia-anxiety spiral. 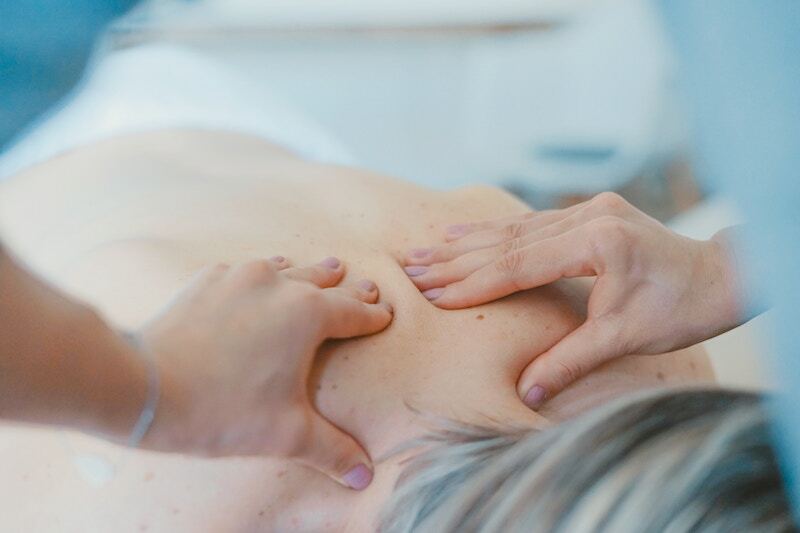 Deep touch pressure gives a calming effect to the brain and body, breaking the cycle. The even distribution of pressure on the body during sleep can trigger the release of the neurotransmitters serotonin and dopamine. These two are feel-good hormones that provide feelings of happiness, relaxation, and improved mood. Increased levels of these chemical messengers can help curb stress, depression, and anxiety. Increasing the serotonin levels in the brain can alleviate the symptoms of an obsessive-compulsive disorder, a type of anxiety disorder. Weighted blankets have been proven by science through studies to help improve the disorder’s symptoms. It’s because they can help increase serotonin levels. 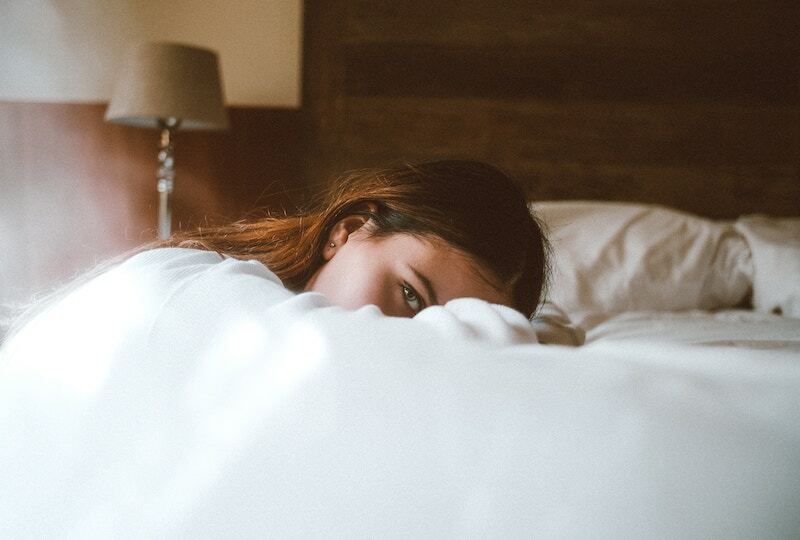 Aside from that, weighted blankets also work in fighting other conditions caused by low serotonin levels, such as post-traumatic stress disorder (PTSD), aggression, and bipolar disorder. Weighted blankets provide a calming effect on the nervous system. Anxious people experience hyperactive thoughts that can translate into their bodies. They have increased heart rate, blood pressure, and alertness, interfering with sleep. Deep touch pressure and the hug provided by weighted blankets can calm the nervous system, even during an anxiety attack. 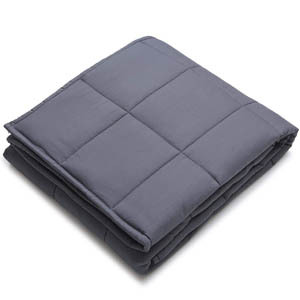 Weighted blankets have gained immense popularity because of their health benefits. These blankets have been proven to ease the symptoms of anxiety disorders, and help people with these disorders to sleep better at night.